Last night was windy, cold, and rainy here in Maryland, so my first impulse was to make chili. This dish is one of my favorite things to make, especially in the fall and winter, because I can change out the recipe so easily. I’ve made it many different ways, but last night’s was a much healthier rendition that still warmed us up nicely. See if you and your family notice a difference if you try this version! I started by heating a large stock pot on the stove and dropped in one diced onion with some olive oil. Once the onion was translucent, I added one package of ground turkey and took some time to let it all brown thoroughly. To add a bit of smokiness to the finished product, I added a bit of bacon that I pulled from the freezer and gave that some time to cook. NOTE: I had previously taken a one-pound package of bacon and sliced it into 8 portions. Each portion went into a small freezer bag and I use a portion any time I want a little bacon flavor without having to thaw or cook an entire package. I diced this portion so the bacon wasn’t discernible, but the flavor permeated the chili nicely. I then added about a cup of diced sweet pepper (as you can see, I used a variety of green, red, orange, and yellow peppers) as well as a generous pour of red wine. 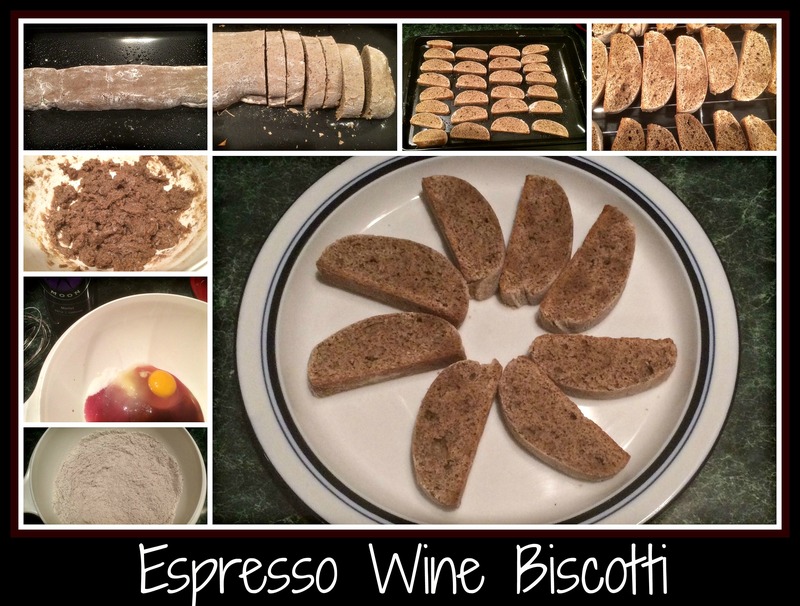 NOTE: For this recipe, I had a bottle of red wine from Adams County, PA, but any good dry red wine is great to add, provided it’s a red wine that you like to drink. Don’t ever add wine that you wouldn’t drink to a recipe, since cooking will concentrate the flavors from the wine. Once the vegetables and wine are incorporated into the chili, I then added one can each of light and dark red kidney beans (rinsed and drained) and one can of diced tomatoes (not drained). I was now ready to add my spices to make this dinner into something memorable. Since my family is not a fan of hot/spicy flavors, I used a conservative amount of dark chili powder, ground cumin, and smoked paprika, one teaspoon of unsweetened cocoa powder, along with some salt and pepper. At the very end, I drizzled in a bit of a prepared Balsamic Glaze, which really gave this dish a bit of zing without overpowering the traditional chili flavors. I do hope that you’ll try your hand at this chili recipe. Feel free to substitute other meats, beans, or vegetables as you like – that’s what makes each person’s recipe unique and special. We thought this version had a great balanced flavor… exactly what I wanted on a cold, rainy fall evening. 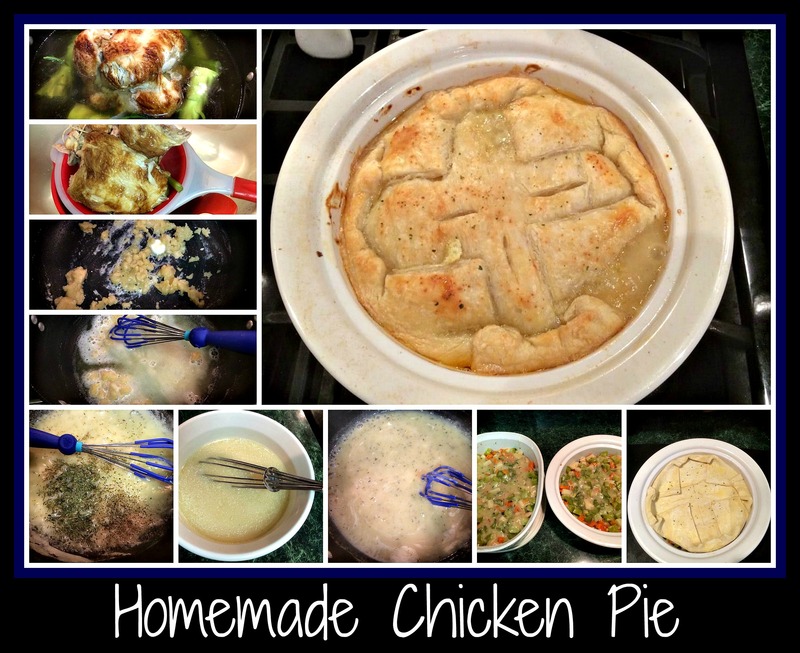 This would be a great dish to share with friends and will freeze nicely, so feel free to double or even triple the recipe if you have the time (and freezer space)! Wow… this sauce is such a wonderful recipe that it’s worth making so you can dress up almost any dessert. Company coming over? Toast some slices of pound cake or angel food cake (or even ice cream) and drizzle this fudge sauce over top. Sweet tooth craving something decadent? Spoon a little warmed sauce over cut up fruit. Dinner still an hour away and you’re looking for something to “hit the spot” so you don’t over indulge and ruin your dinner? Have a small spoonful of this sauce, cold, right out of the fridge. It’s dark, deep, and oh, so delicious. I’m confident that you’ll want to keep this recipe on hand for the foreseeable future. The best part of this recipe, in my opinion, is that it’s just so darn easy to make. The original recipe came from my boys’ elementary school cookbook, but I just had to tweak it until it hit all the high notes for me (read: needed wine). You’ll want to have the following ingredients on hand and ready to go. To start, melt chocolate and margarine over low heat, whisking until the chocolate is thoroughly melted. Add the salt to the sugar and add the wine to the evaporated milk. Alternately add sugar/salt and milk/wine to the chocolate mixture, blending well with a whisk. Once thoroughly incorporated, bring sauce to a boil over medium heat, stirring constantly. Cook and stir until thick and creamy, about 8 minutes, then turn off heat and stir in vanilla. That’s all there is to making your own homemade fudge sauce. The red wine adds just a touch of richness without altering the flavor to a great degree. I have tasted it both ways…. feel free to omit the wine if you prefer, but I really enjoyed its’ addition. Store this sauce in jars (or plastic containers) in the fridge and heat to serve as desired. I used this sauce recently to pair with a loaf of angel food cake when bringing dinner and dessert to my neighbors. Such a simple thing, but it was a wonderful thing to share with friends. 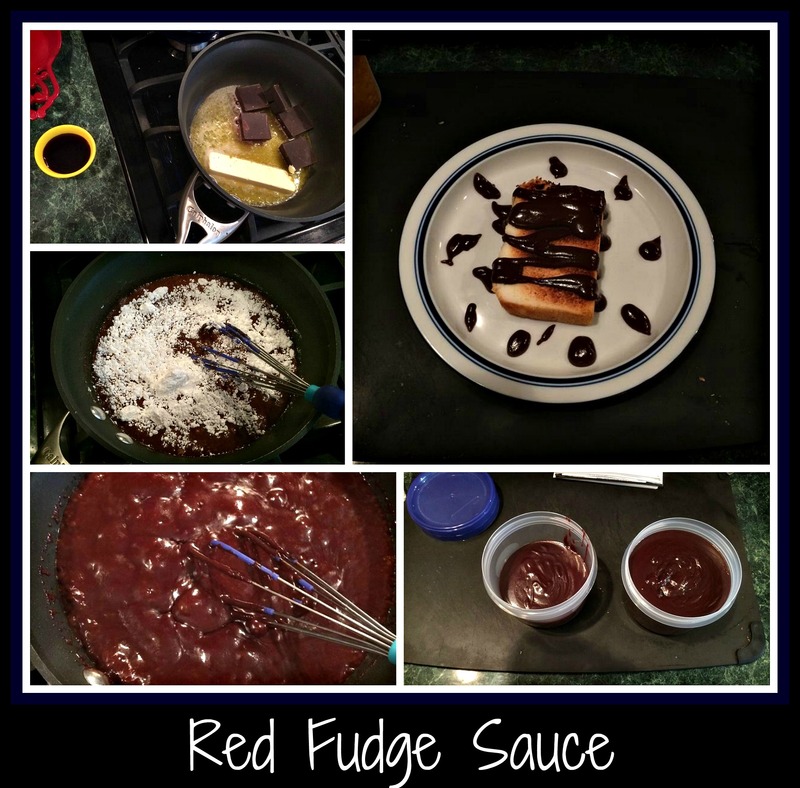 Fudge sauce… the new way to share some love with others? Enjoy! As with all my recipes, this really is my own take on this meal. 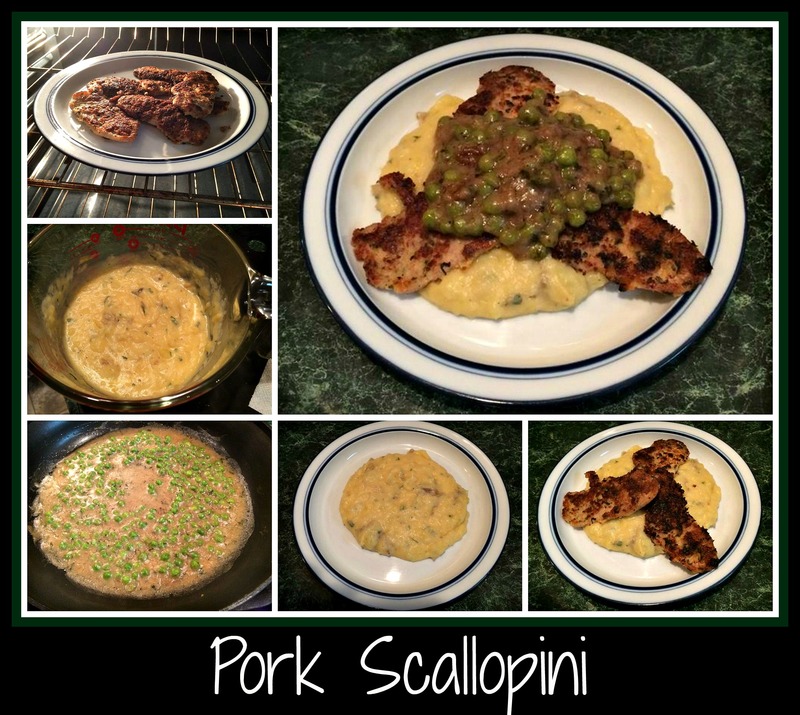 I have an idea in my head of how a “scallopini” should look and taste, so I play with the ingredients I have on hand until the final product comes close to my mind’s version. 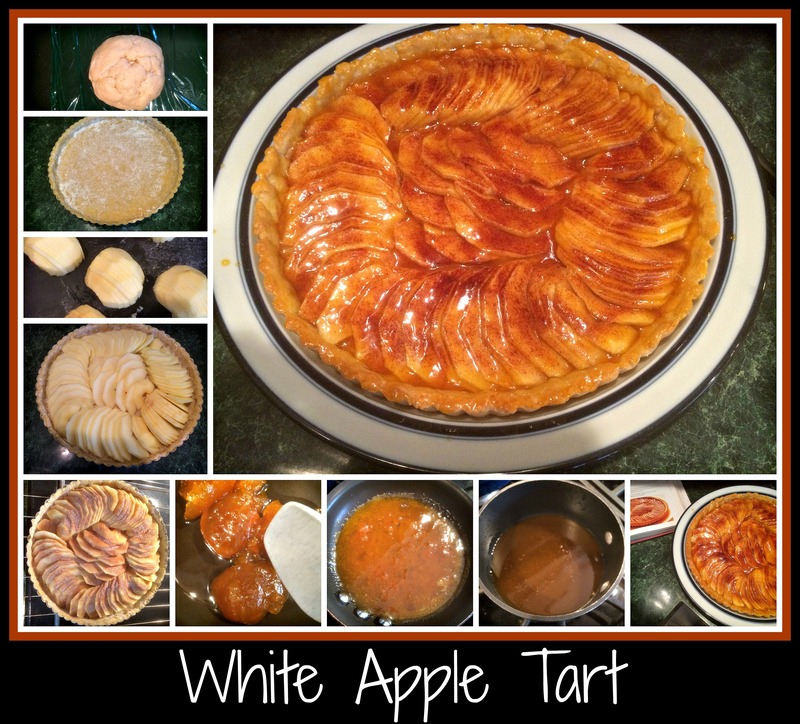 I may be totally off-base from any traditional recipe but, since this is my own creation (and it garnered lots of “this is really good” comments), I’ll share it with you here. I posted a teaser shot last night after dinner on my new Facebook page for this blog, so I hope you’re ready to check this one out! I started with 6 very thin pork cutlets that I picked up at the local grocery store. NOTE: The original package had 12 cutlets, so I used 6 for the first go-round and used the last 6 for this dinner. Essentially, they were used for the same recipe… I just didn’t post directions the first time, since I wasn’t sure how it would go over and hadn’t taken photos throughout the process. I dredged each cutlet… first in a wet mixture of almond milk and egg, then into a mixture of dry ingredients that included breadcrumbs, parmesan cheese, parsley, salt, and pepper… then saute’d them in a medium-hot skillet with one Tablespoon of melted butter. I flipped them over after a few minutes, using a spatula, and cooked the other side until both were nicely browned. I then removed the cutlets to a plate and kept them warm in a 200-degree oven until I was ready for dinner. Before I started on the sauce, I wanted to choose a “base” for my scallopini. When I made this dish the first time, I had leftover bow-tie pasta in the fridge, so I decided to heat that up and serve the scallopini over the pasta. Last night, I had leftover mashed potatoes, so I chose to doctor these up for my scallopini base. NOTE: Feel free to use what you have in your fridge when making dishes such as these. I really like egg noodles with this dish, but I tend to be the minority in my house on that ingredient, so I try and accommodate others’ taste preferences when I can. Since I was using leftover mashed potatoes for this recipe, I knew I was going to have to work with them a bit to make them taste fresh and not look like I just warmed up some clumpy potatoes for dinner. To that end, I put the leftover potatoes into a 4-cup Pyrex measuring cup and microwaved them until they were warm enough to melt some margarine. Into the large cup of mashed potatoes, I added varying amounts of almond milk, Chardonnay (white wine), margarine, parmesan cheese, parsley, horseradish mustard, shredded cheddar cheese, and some freshly ground pepper. I used a whisk to incorporate all the ingredients thoroughly and then microwaved this mixture for about a minute. I repeated the whisking/microwaving step at least twice…. just until the mixture was creamy, tasted good (don’t forget to taste your food as you cook to adjust the seasonings), and had thickened enough to make a nice base for the scallopini. Now, onto the sauce. If you’ve read my blog before, you know that I have a post that is dedicated to “how to make a sauce”. This truly is how I begin 90% of all my sauces. I had removed the cutlets from the saute’ pan, so I added 1 Tablespoon of butter, a little olive oil, and some flour, then whisked everything together and let the fat cook the raw flour until it became lightly toasted and fragrant. NOTE: If you’re using a non-stick skillet, please consider investing in a plastic coated wire whisk… you’ll save your skillet and be just as happy with the results. The one I currently use is blue and I found it at Target… you don’t need anything fancy, just something that won’t scratch the surface of your pan and ruin it. Now that my thickener (fat/flour mixture) was ready, I whisked some Chardonnay white wine and chicken stock into the sauce. As hard as it is to wait, I allowed the liquids to become thoroughly incorporated into the thickener before adding more liquid. This is when you want to adjust things to make the sauce as thick or as thin as you’d like. I also knew that I was going to be adding frozen peas to the sauce, which would add some water as they thawed, so I had to keep that in mind as I was cooking. I then added a few simple seasonings to the sauce, in the form of parsley, horseradish mustard, salt, and pepper, making sure not to add too much salt because of all the other flavors from the pork cutlets and the potatoes. My last step was to pour in some frozen peas and allow them to cook in the sauce. NOTE: Don’t forget to adjust your seasonings before you finish… it’s better to season while you’re cooking, rather than after, since they will incorporate better this way. When you begin to plate your meal, feel free to be creative. When I made this dish with pasta, I simply laid the pork across the pasta on the plate and spooned the sauce over top. Since the mashed potatoes made a sturdier base, I placed the pork specifically (as you can see in the photo) and spooned the sauce in the middle so all three layers of the meal were visible. It was a very simple, yet elegant way to present our dinner. I hope you’ll try out this recipe. 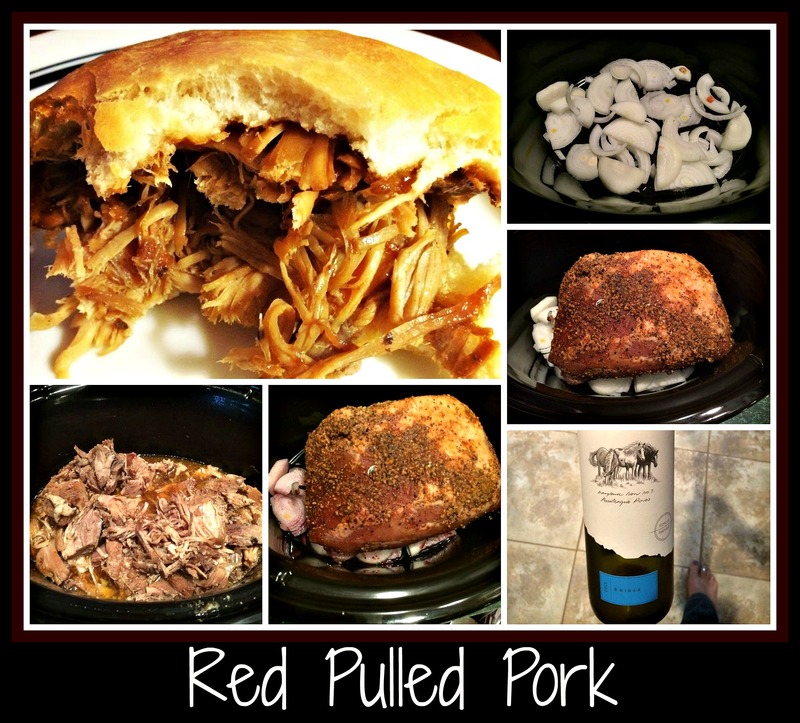 I think it’s one of my favorite ways to cook pork and, because of the versatility of other ingredients used, helps to clear out some of my leftovers from the fridge. I actually toyed with making mashed potato waffles for under the cutlets/sauce, but chose not to because I couldn’t reach the waffle iron. Maybe I’ll make potato pancakes next time instead of using pasta? If you make this dish, feel free to let me know what you chose to use.